How to connect mbed LPC114FN28 to AXEDA for Internet of Things? 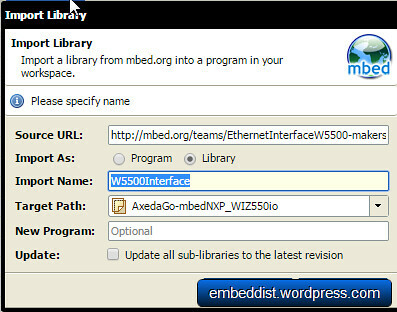 This post shows how to connect mbed LPC114FN28 to AXEDA Service for Internet of Things. 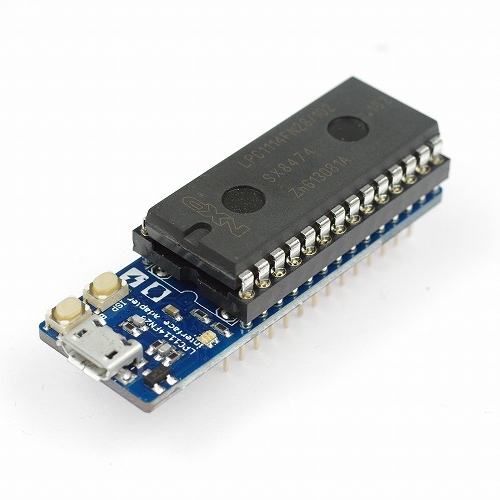 The mbed LPC1114FN28 operates at CPU frequencies of 48 MHz. The LPC1114FN28 includes up to 32 kB of flash memory, up to 4 kB of data memory, one Fastmode Plus I2C-bus interface, one RS-485/EIA-485 UART, one SPI interface with SSP features, four general purpose counter/timers, a 10-bit ADC, and up to 22 general purpose I/O pins. 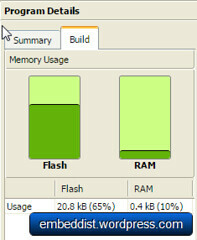 Note: LPC1114FN28 platform doesn’t support RTOS due to its flash size. 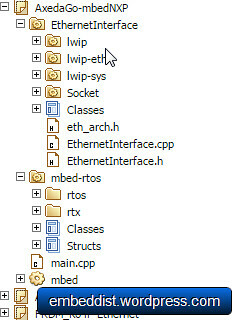 Please do not import mbed-rtos library into your project. mbed LPC1114FN28 has very limited size memory size and no Internet connectivity. 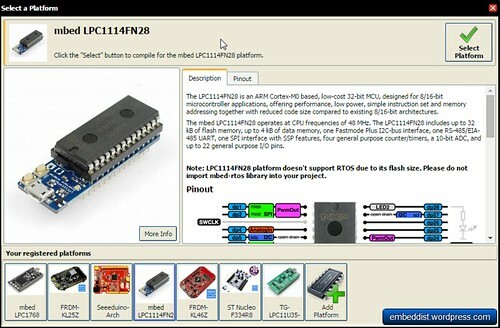 In addition, LPC114EN28 doesn’t support RTOS and EthernetInterface. 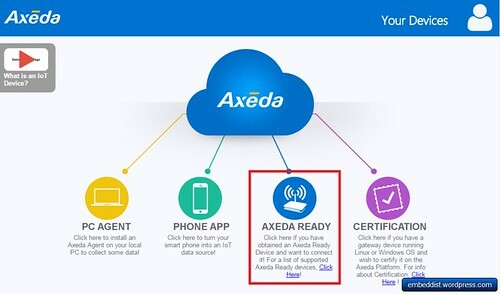 How to connect mbed LPC114FN28 to AXEDA (IoT Cloud Platform)? host system can be simply connect to Internet without EthernetInterface or TCP/IP software stack (included in RTOS). This program is made for LPC1768. But, we will use LPC1114FN28. So, LPC1114EN28 is selected the right platform in the compiler. * AnalogIn ports should be also configured by depending on platform. 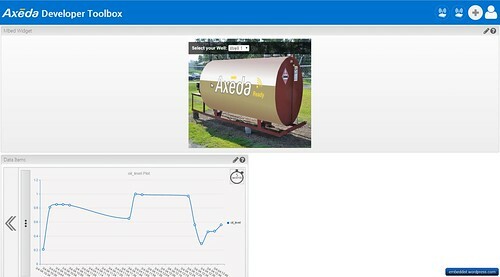 Before Enjoy Axeda, click the Compile button at the top of the page and download .bin on your platform. You will comfirm DHCP IP address, Protentiometer value and sending message in debugging message. Trying to get IP address.. 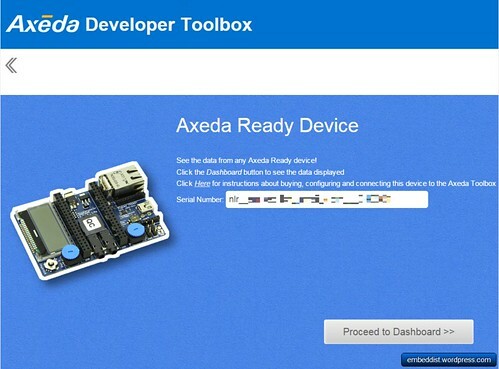 Your mbed board is now connected to your Axeda Toolbox account. 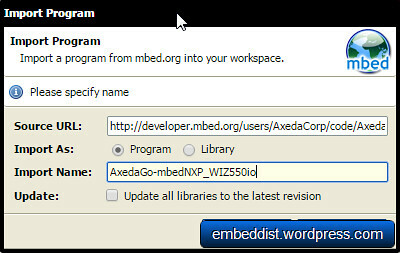 Open up the mbed Widget by proceeding to your dashboard from the staging page. 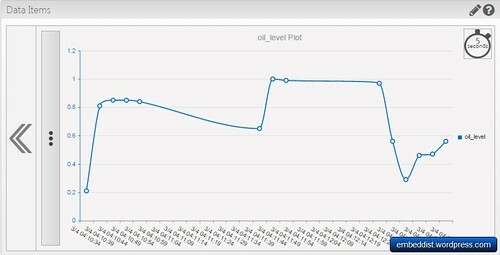 In Data Items, it is able to displays to Potentiometer values from LPC1114FN24 + WIZ550io with graphic line. 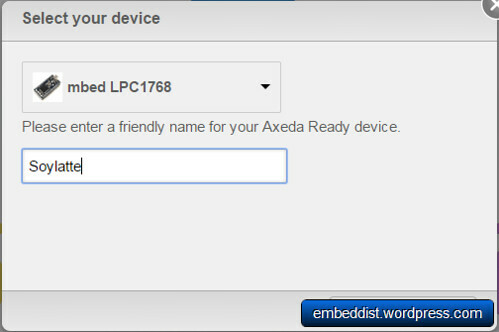 In casd of mbed LPC1768, the code size for Axeda is more than double the size of the Flash memory of the LPC1114 to 66.8kB. 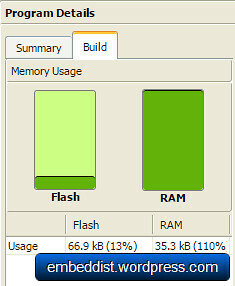 On the other hand, memory usage of LPC1114FN28 + WIZ550io is 65% (20.8kB).